What game did you play most in August? New to you a year ago Aug 13 => Has it stood the test of time? 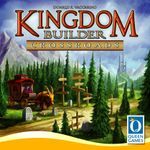 Catan still in the Top 20! Chess and Go are the obvious ones with players adding a lot of plays on one date. Finally; high numbers again! Holiday with gaming friends, Spellendag Utrecht, my own holiday; best month since May 2010... Utrecht was great; awesome gameday with great new games (Xanadú, Hattari, Lancaster). In beautiful Switzerland we played all the Stone Age games - great game - and more. Another gameday in Tilburg and we're over 40 games! Want more! New Game of the Month: Oef. 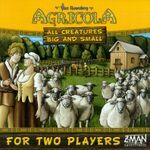 Agricola: All Creatures Big and Small? Xanadú? Lancaster? A Few Acres of Snow? In a Grove? I think Agricola 2. That's a game I can see added to the collection and played more. Second place for Xanadú, third for Lancaster. 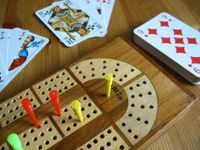 A bunch of lighter & shorter games played at home with family & friends. I really must get out more. 47 plays of 22 different games. Bought in Malaysia, this got a lot of plays during my 2 week long business trip. A big hit with my Warhammer 40,000 gaming group, this got 4 7P games in succession where evil won every time! Another surprising hit with my 40K group, this was requested several times and thus I expect more plays in the future. Played solo, the challenge would be to get a regular multiplayer play with this game! My 40K buddy Kent wanted to try a “caveman” game all of a sudden so I teach them this. They appreciated the dice rolling, simple play, and multiple ways to score points, so it was also a big hit with the guys! Played solo, I am hoping that I can teach my wife this in order to get more multiplayer games of this done! In any case the cards themselves are simple, and the set should be a good introduction to the system. Both the India and Switzerland maps were tried, with me liking the India map a bit more. The Adventurer’s Abroad scenario from HINTERLANDS was played. First ever 7 Player game, and the top 3 scores were all Magellan players! (I was number 3). Pandekai is victorious (again!) versus Mekkadragon! 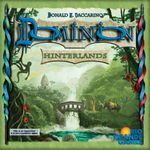 It seems this will get more play soon, as the 40K guys liked it (as they have also fallen in love with Puerto Rico recently). 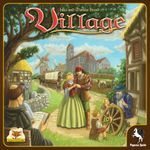 I’m now convinced to get the Village: Inn expansion even after just 1 play of the base set! August had me log 41 plays of 22 different games. 89 plays - my lowest count in over a year. 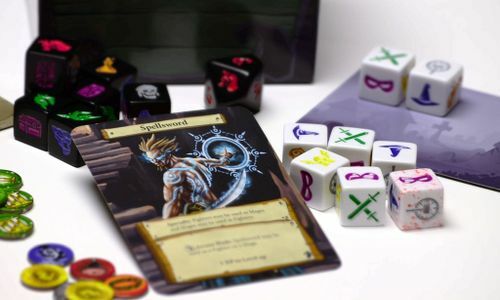 I don't usually put Unpublished prototype as my representative entry for this list - but this month, I co-designed two new games, and it was my dominating gaming experience. None of them is finished yet (although one is very close), but I am very happy about it nevertheless. 1 x Hey, That's My Fish! The highest play count had for years outside major gaming events (convention, gaming holiday). 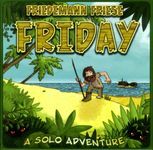 Partly due to two days when we played lots of (new to us) short games (ages 5+ to 8+) that are nominated for for the german Kinderspielexperten event. And partly because when i visited my brother, nephew and niece played a good number of shorter games with me. 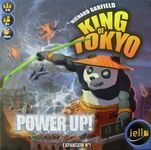 Most played game is King of Tokyo, played with the two of them (some plays also included my brother). I've become more a quality than quantity player. New game of the month: Uruk; I can also understand the position of Twilight Struggle in the rankings. I had 33 plays for August and this had the most with 3 plays. I played a lot of different games this month it seems. 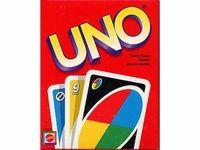 Uno- 3 plays. My teenage daughter likes to play this. 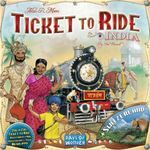 Circus Train (second edition)- 2 plays. New to me. The components are really good in the second edition and this game is really great. Glad I bought it. Fairy Tale- 2 plays. I really enjoy this card game. Wish I played it more often. Lowenherz- 2 plays. Got a chance to play this again. Still enjoyed it but not sure if I will keep it as there are other area control type games that I would rather play. Medici- 2 plays. One of my favorite games. Some luck involved but usually the better bidder will win. 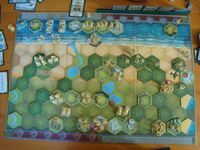 Forbidden Desert and Memoir 44 ( 4 scenarios form the epic bicycle campaign from the 2nd campaign book) were played the most. and the blood bowl team manager expansion. Love to explore Glory to Rome more with my gaming club and conflict of heroes with my brother, who loves earth Reborn. Target for M44 end of this year: 200 plays and finnish the 2nd Campaign book. Pretty limited month, I'm one of the people driving that Love Letter figure up though. Everyone I've played it to has loved it. It's a crossover hit: gamer friends, work friends, family. Italics = new to me. August started out strong with us playing games a lot with family and with the local game group. Things slowed down quite a lot later in the month because we had a family trip that was a little too busy for gaming. I had 4 games tied for most-played. I'll give the entry this month to Ra: Dice simply because we could have played it 5 more times if I always brought it with us. It's basically Rikki's favorite game now. This month was really low for me. I had 18 total plays. Very busy month for me. Drum Roll and Martinique were both new to me this month. I enjoyed both and I'm looking forward to introducing Drum Roll to more people. 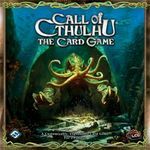 My wife had an unexpected 10-day trip to the hospital that forced us to cancel our trip to Gen Con which significantly reduced the anticipated number of new games we were hoping to try. Good news is that she avoided surgery and is getting her strength back a little each day! 19 plays across 11 games. 1x - Race for the Galaxy - Wife destroyed me 63-39! 33 plays? I finally managed to hit the mark of an average of one game a day this month. It was the most plays I have recorded since May of 2011, and that was my last Kublacon convention month. The goal would be to repeat it this month. 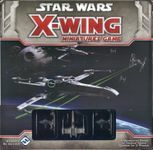 My most played game this month was Star Wars: X-Wing Miniatures Game, which was also a new game for me. 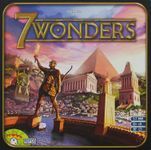 A very fun game, that has some addictive elements like Heroscape to me. It actually reminds me a lot of Heroscape; not in game-play per se, but in the elements, gathering armies/squads, cool miniatures, etc. The other thing about Heroscape it reminds me of is after you set up a game, you want to play a few more because the setup and take-down is longer than an individual game. It helps make it one of those games if you do play it during the month, it seems to be high on my posts on these Geeklists. 16 Games with 33 Plays. Another quiet month but did see a large number of different games being played which makes me very happy. All games are face-to-face only. New games denoted by a . 'Risen from the dead' games (ie. not played in over 12 months) denoted by a .
Hoo boy, did this one just sneak into the tail end of the month. Fantastic game, my gaming group has tried playing all 3 different games modes (short, normal and long) - I personally prefer the 'normal' game which provides a good challenge but doesn't outstay it's welcome. Very enjoyable. 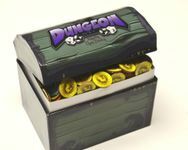 Yet another dice game that serves as a nice filler. Enjoyable enough but I'm happy with Sutakku and Wurfel Bohnanza in my own collection. After 2 false-starts last year we finally got a group together to start playing this (myself being Overlord). I like it but I think I still prefer the 1st Edition. Managed to get another mission done on this campaign after a few months break. Hopefully get to play it more this coming month. I've never read any of the books but this game is quite fun, glad to play it again after such a long break. Good old Kingsburg - been a while since we played but always good to revisit on occasion. 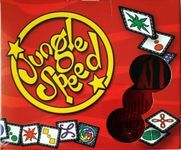 Pretty much my go-to filler game whenever we have a spare 15 mins or so. 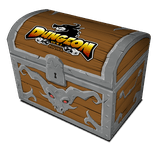 This one has gotten popular within my gaming group so I always try to remember to bring it. A mate had a copy he was trading away so wanted a final play. Nice game that was enjoyable enough but with all the other options we have to play I can understand his decision to move it along. In total, 8 individual games were played for a total of 11 plays. 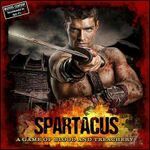 Spartacus: A Game of Blood & Treachery holds the honor this month. Hope to see it get played even more in September. Happy with the games played in August. Augustus has been a hit. A nice filler to start or end a gaming night, often several games played in a row. Also nice to have tried two new maps for AoS. I'm especially satisfied with that I got to play a lot of my new games this month. 4 out of 7 hit the table this month. New Game of the Month: I really enjoyed Keyflower. 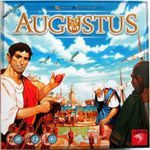 But Augustus is also a great game, although it's very light. Crib takes the spot again and I would like to say a few words about that. Crib is not my favourite game. There are many other games I would love to play more often than I do. The thing is, I regularly go and see a 70 year old man that has multiple health issues and is down on life. He loves Crib and I am happy to oblige him. I call him friend. So as long as he is around I may continue to have Crib be my most played game. August came through with a solid 37 plays - well under my high for the year, but still comfortably beyond the average of one play per day. Most played this month was the always excellent High Frontier, although only one was a play with another person - all the rest were solos in various forms, particularly the Hermes Fall solitaire scenario. 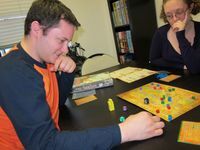 Best new play of the month was Kings of Air and Steam, which I'd had my eye on for quite a while and finally got to try. Even as just a 2-player game I loved it, and immediately bumped it to the very top of my wishlist. It's almost definitely going to be the next full game that I buy. 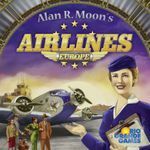 Kings of Air and Steam - NEW! Big month of gaming, as I attended GebCon 2013, my very first, also had a couples game night and played at my parent's cottage a bit. Why Coup? 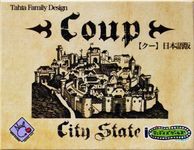 I introduced it to a buddy and fellow GenCon attendee, and participated in the Con's Coup tournament. A good solid run for this month's decks (The Inner College, On the Take, Snaketastic, and Legation from Yuggoth). By the end of the month, I was ready to break them down and try some new ones. SW continued its upswing in play frequency this month, assisted by some cool Second Summoners. Loving this game. Hope to play it today! A couple of Looney Labs standards still chugging along in play with my daughter. It only takes an evening or two of Magic: The Gathering and it easily gets the most plays of the month. More impressive is that Merkator got as many plays as Ascension. No new games this month, but my wife and I did pull Trajan off the shelf after a year...only to discover that the novelty of the Mancala had warn off and neither really care if we ever play it again. Most Played in a Month Ever! 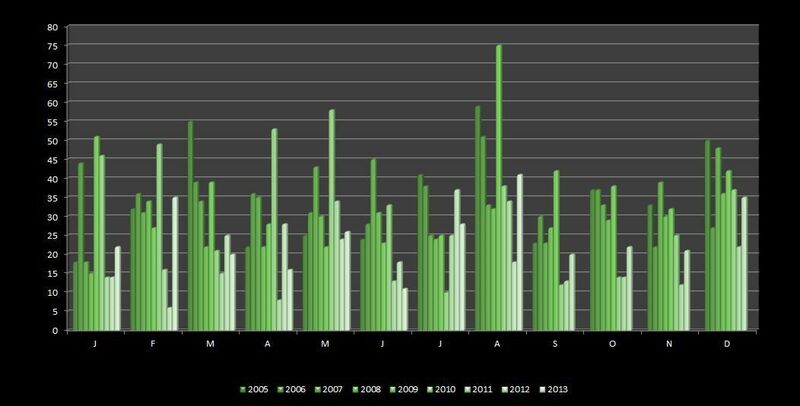 for each month game was most played.